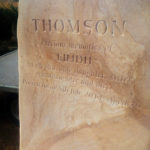 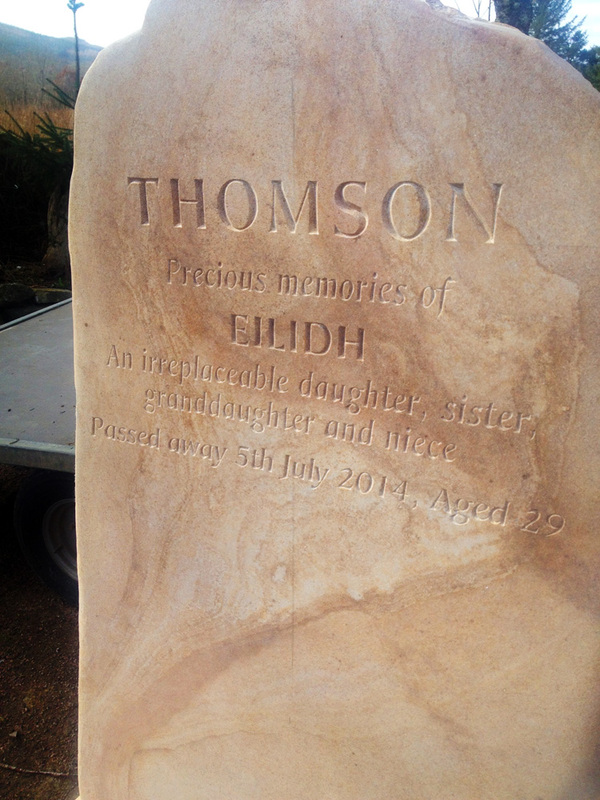 Eilidh Thomson was a keen photographer and photography teacher. 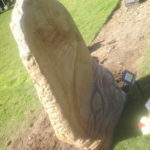 Her passion was for capturing images of Scotland’s natural beauty. 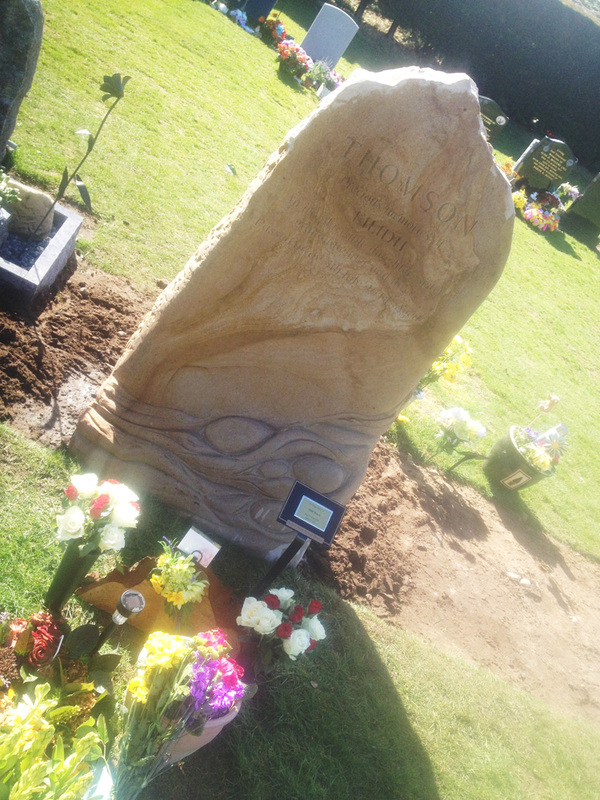 One of her favourite subjects was running water over rocks. 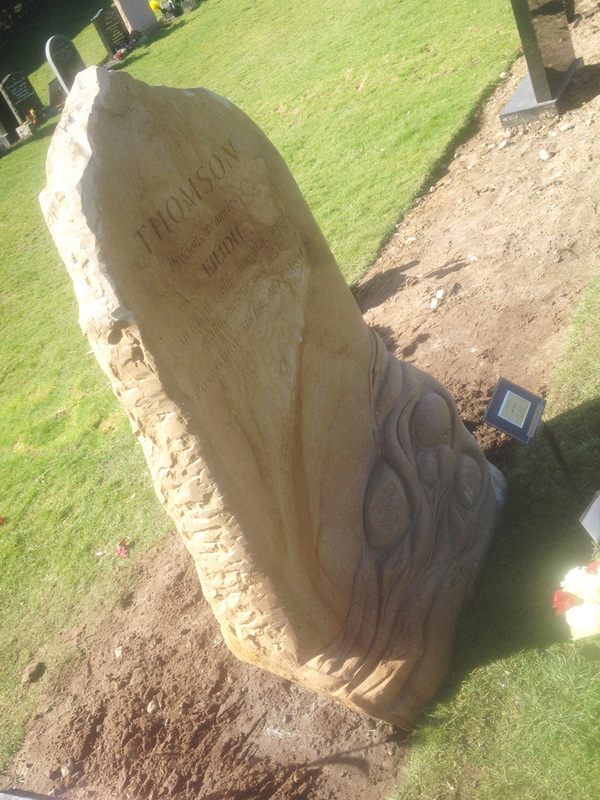 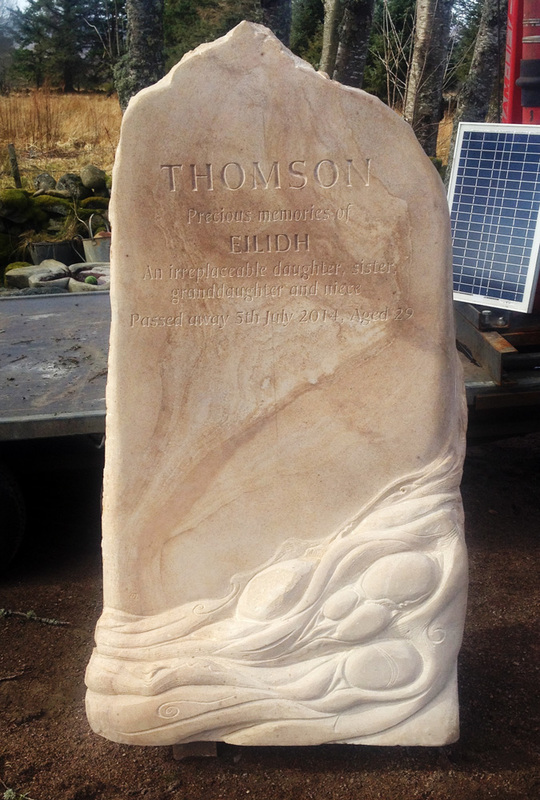 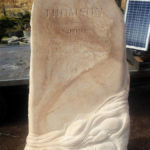 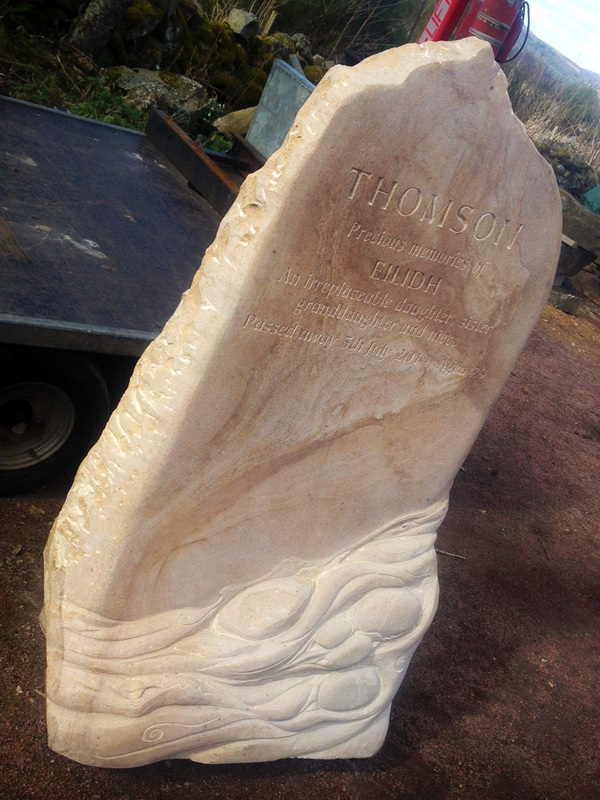 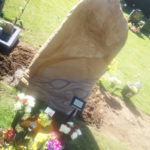 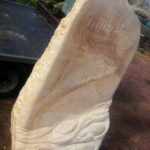 Between myself and her family we designed this unique Clashach sandstone memorial with a Scottish Highland burn (brook, stream) flowing around the side.